Severe marketing and advertising restrictions were imposed on manufacturers in 1998 by the Master Settlement, and again in 2009 by FDA regulation. The industry’s role in adolescent tobacco use stops at tobacco retail, where FDA inspections have documented high compliance rates (here). The other side of the equation, youth possession, is generally ignored by the tobacco control movement. The Surgeon General’s report dismissed possession laws because they “may distract from focusing on the role of the tobacco industry or retailers.” But there is a precedent for youth possession laws in alcohol control. The 1984 National Minimum Drinking Age Act required states to set at 21 years the minimum age for purchasing and publicly possessing alcoholic beverages (here). States risked losing highway funds if they did not comply; all implemented substantial penalties for first-time possession of alcohol by underage persons, including fines, jail time, driver license suspension and community service. State penalties for minor possession of alcohol are shown in the table below (from web sources here and here). Most states levy fines – from $100 (in Delaware, Louisiana and Michigan) to $2,500 (in Illinois and Tennessee). Some 21 states have provisions for jail time, ranging from 24 hours in Massachusetts to 12 months in Illinois, Missouri, North Dakota, Oklahoma and Tennessee. Eighteen states may suspend a driver’s license, from one month (in Delaware, Maine, Nebraska, Rhode Island and Texas) to a maximum of 12 months (in Idaho, Indiana and Utah). Nine states can order community service. Compare the above to the penalties for minor possession of tobacco, shown below. (I was unable to find a consolidated web source, so I reviewed individual state laws.) Only 22 states impose fines, and they are much smaller than those for alcohol. Only Idaho has a provision for jail time (six months). The only other penalty, in 14 states, is community service. I take no position on banning possession of alcohol or tobacco by underage persons, and I am not advocating for a particular level of punishment for offenders. However, it is important to note that while federal and state governments have decreed that alcohol and tobacco cannot be used by children and young adults (under 21 years and 18 years respectively), states have chosen different penalties for possession of these substances. Children and young adults are held responsible for possessing alcohol, with substantial penalties for violators. In stark contrast, many states do not hold children and young adults responsible for possessing tobacco, and those that do impose only minor penalties. It is time to resolve this extreme disconnect in state-based alcohol and tobacco possession by underage individuals. I have discussed a study reporting that smokeless tobacco contains trace levels of several metals, including cadmium, arsenic, nickel, chromium and lead (here). Now researchers at the University of California, Riverside, report that the aerosol from an undisclosed e-cigarette contained numerous metals. The article implies that e-cigarettes are the source of inhaled toxic metals. But, as pointed out previously by Boston University’s Michael Siegel (here), the amount of metals delivered to e-cigarette users is lower than the daily exposures permitted by the authoritative US Pharmacopeial Convention (USP) for inhalable medications. Williams and colleagues reported that 10 aerosol puffs, the equivalent of one cigarette, contained 0.017 micrograms (ug, one-millionth of a gram) of lead. This means that a pack-a-day equivalent (200 puffs) contains 0.34 ug of lead. According to the USP (here), it is permissible for an inhaled medication to deliver up to 5 ug of lead per day to a 50 kilogram (~ 100 pound) person. The same holds true for nickel, chromium and copper. For nickel, Williams reported the pack-a-day e-cigarette level at 0.1 ug, while the USP allows 1.5 ug per day in inhaled medicines. For chromium, Williams reported that e-cigarettes deliver 0.14 ug, while the USP allows 25 ug in inhaled medicines. For copper, the Williams-reported level is 4.06 ug; the USP allows 100 ug. Tin is another metal Williams reported in e-cigarette vapor, at 0.74 ug per 200 puffs. The CDC reports (here) that the average U.S. daily intake of tin by inhalation is 3 ug. To be clear, the problem with the Williams study is not that it reported trace concentrations of metals in e-cigarette vapor. That is useful information. The problem with this study, as with most works of this kind in the past 20 years, is that it was published without context. As the above quote shows, e-cigarettes were compared to traditional cigarettes without any reference to exposure from other inhalation settings and/or products. Such demonization of e-cigarettes is inappropriate, and authors and journal editors share culpability. Greater effort should be made to avoid bias in reporting of scientific data, particularly when public health is at stake. As previously noted (here), e-cigarettes are winning over American smokers. E-cigs’ vapor of nicotine, water and propylene glycol is vastly safer than smoke, and these products satisfy smokers’ behavioral cues. Marketers have enjoyed a regulatory moratorium since federal judge Richard Leon blocked the FDA’s attempt to regulate e-cigs as drug-delivery devices in 2008 and 2009 (here). His ruling was upheld on appeal (here). As a result, on April 25, 2011, the FDA announced that e-cigs are tobacco products (here). After some delay, the FDA recently indicated that it may issue its first set of so-called “deeming regulations” on alternative tobacco products this summer. There is considerable speculation as to what form those regulations might take. Given that the agency has shown no interest in tobacco harm reduction, its regulatory scheme for e-cigs might mirror that for cigarettes and traditional smokeless tobacco products. That could include onerous advertising and marketing restrictions that would cripple efforts to increase awareness and trial of e-cigs by smokers. 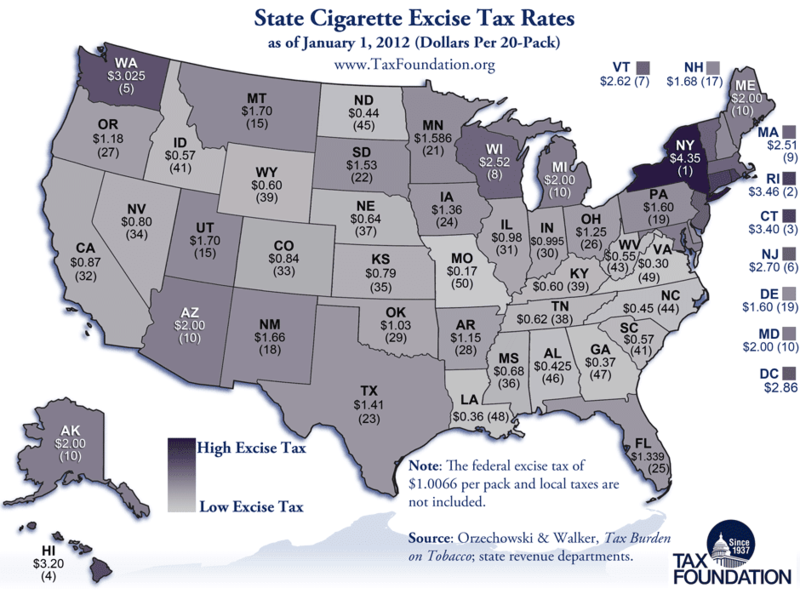 Because e-cigs are tobacco products, they will be saddled with heavy federal and especially state excise taxes. Cigarette consumption is gradually declining, which means that state payments from the 1998 Master Settlement Agreement are in decline. To counter that, some states have raised cigarette taxes dramatically, which ironically threatens legal sales and tax revenue and encourages black marketeers. Tobacco prohibitionists, including medical associations, federal agencies and state health departments, don’t want smokers to switch to e-cigs; they will pressure legislators for high e-cig taxes that erase any economic advantage. On the other hand, weak opposition to all taxes can be expected from loosely organized e-cig consumers, trade groups and individual marketers. In that scenario, tobacco control and high taxes are likely to prevail. 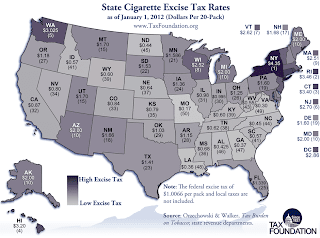 Two states, Oklahoma and South Carolina, have considered a rational approach to e-cig excise taxes: a nickel per unit of nicotine solution, with the tax never to exceed one-tenth of the excise tax on a pack of cigarettes. It’s not perfect – a 1:50 or 1:100 ratio would be more appropriate – but it’s a positive development for tobacco harm reduction, one I proposed ten years ago (here) and again in 2008 (here). New York Mayor Michael Bloomberg’s 2003 prison smoking ban produced a pervasive black market, where single cigarettes cost inmates $30, and a pack runs as high as $200, according to the New York Daily News (here). That might sound shocking, but I predicted those unintended consequences nine years ago in a column for the Las Vegas Review-Journal, after the California State Assembly imposed a state-wide prison tobacco ban. On January 26 the California Assembly passed a bill that would ban all tobacco products in state prisons (Assembly Bill No. 384). According to sponsor Tim Leslie (R-Tahoe City), the bill “is a win, win, win for California.” But the ban may be a loser for everyone else concerned, including prisoners, staff and the prison system. According to Leslie, about 80,000 California prisoners smoke. At 1½ packs per day and $3 a pack, prison sales of cigarettes in California is worth $131 million. One hundred million dollar markets just don’t disappear with the stroke of a legislative pen. They transform, and often in ways that don’t please prison officials. First, the California prison system will lose the revenue generated by sales of legal tobacco products. But over-the-counter revenue lost is under-the-table revenue gained, as smuggling takes over and entrepreneurs compete for the lucrative tobacco market. In Colorado prisons, where tobacco prohibition was instituted four years ago, an $11 can of Bugler loose tobacco generates $5,000 in hand-rolled cigarettes—a 45,000% markup. In other words, the Colorado ban spawned an instant black market serviced by prisoners and their families, guards, teachers and supervisors. Officials have conducted 154 investigations – at considerable additional cost -- and made dozens of arrests. All because Colorado officials chose in effect to ban nicotine, the consumption of which is absolutely legal everywhere in the US except behind bars. Absolutely legal. And almost absolutely safe. Nicotine is among the most powerful of addictive substances, but it is not the reason that smokers die. In fact, nicotine itself is about as safe as caffeine, another widely consumed addictive drug. 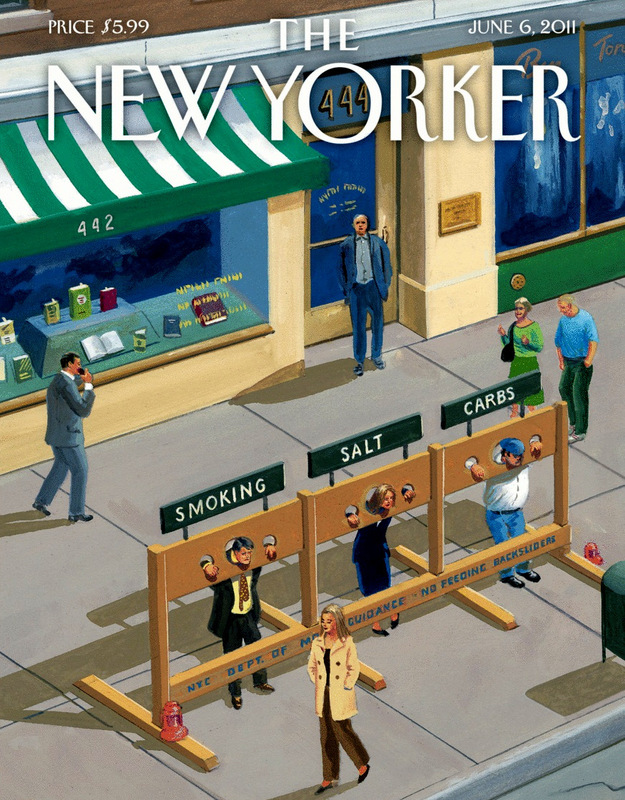 It is the other 3,000 agents in tobacco smoke that are responsible for the diseases that kill smokers. Smokers who switch permanently to other, safer forms of nicotine, including smokeless tobacco products, live longer and healthier lives and don’t pollute the air around them. There is a very simple alternative to a complete ban on tobacco and nicotine: corrections officials should offer smokers alternatives in the form of smokeless tobacco. Smokeless tobacco satisfies smokers and serves as an effective permanent substitute, because it rapidly delivers a dose of nicotine comparable to that from smoking. For comparison, nicotine medications provide only about one-third to one-half the peak nicotine levels of tobacco products, which is unsatisfying for many smokers. In addition, medicinal nicotine is expensive and designed to be used only temporarily. All of these reasons are why nicotine replacement has a paltry 7% success rate among American smokers. Smokeless tobacco use is vastly safer than smoking, which is entirely consistent with the stated health goal of Leslie’s bill. Our research documents that smokeless use imposes only about 2% of the risk of smoking. The only consequential adverse health effect from long-term smokeless tobacco use is oral cancer, but even this risk is much lower than that associated with smoking. In fact, the average reduction in life expectancy from life-long smokeless tobacco use is only 15 days, while the average smoker loses almost 8 years. For further context, the risk of death from long-term use of smokeless tobacco (12 deaths in every 100,000 users per year) is about the same as that from automobile use (15 deaths in every 100,000 users per year). 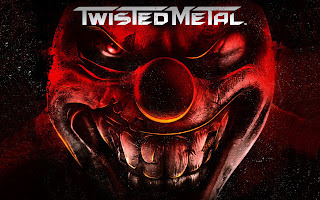 Newer smokeless tobacco products deliver the nicotine kick smokers crave and they can be used almost invisibly. Spitting, once the stigma of smokeless tobacco use, is nonexistent with these products. New products are neatly packaged as wafers or small pellets of tobacco. Some modern products are the size of breath mints and completely dissolve during use, leaving no tobacco residue. Data from Sweden show that smokeless tobacco can easily substitute for smoking. For 50 years men in Sweden consistently have had the lowest smoking rate and the highest smokeless tobacco rate in Europe. The result: Rates of lung cancer – the sentinel disease of smoking – among Swedish men have been the lowest in Europe for 50 years. World Health organization statistics reveal that Swedish men have the lowest rates of lung cancer among 20 European countries. In the US smokeless tobacco is already working for many Americans. Statistics from the Centers for Disease Control and Prevention (CDC) show that 1.5 to 2 million former smokers have chosen this option on their own. In summary, when prison systems provide smokeless tobacco as a substitute to inmates who smoke, they accomplish several goals. 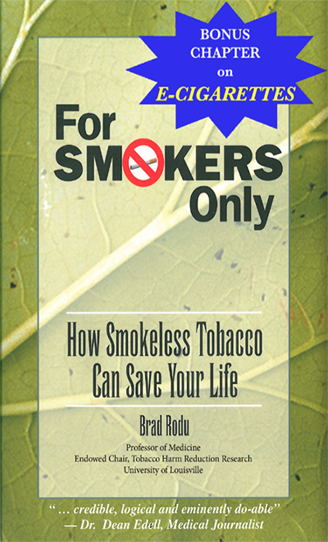 First, they promote the health of smokers by offering a cigarette substitute that is 98% safer for users (because smokers who switch to smokeless tobacco reduce their risk for all smoking-related illnesses, including mouth cancer). Second they ensure the health of nonsmoking inmates and staff (because passive smoke is eliminated). Third, they restore the prison tobacco market to its rightful balance, in which revenue from tobacco sales is removed from the black market and returned to the correctional facility. In other words, corrections officials can meet both health and fiscal goals by providing an environment that is smoke-free, not necessarily nicotine and tobacco-free. 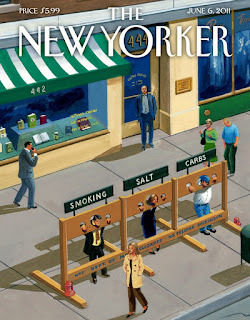 Unfortunately local, state and federal officials have blindly embraced tobacco prohibition. Mayor Bloomberg’s policies have made New York City a tobacco prison, with cigarette prices, at $12-15 a pack, the highest in the nation. Now he wants to prohibit cigarette sales to anyone under 21 years of age (here), which will force more of today’s legal consumers to the black market. Half of the cigarettes sold in New York State are illegal, shifting a quarter billion dollars of government revenue to criminals (updated link here). Prohibitionists love to claim the moral high ground, but they are bootleggers’ best friends.